Les Deux Alpes lies in a beautiful corner of the world with a lot to offer anybody who loves the mountains. The town is perched on a high plateau on the edge of the Ecrins National Park. On the pistes, a vertical drop of over two kilometres can be skied from 3520m on La Lauze down to 1294m in Mont de Lans. The resort is often described as being ‘upside down’ due to having some of the easiest terrain at the top. 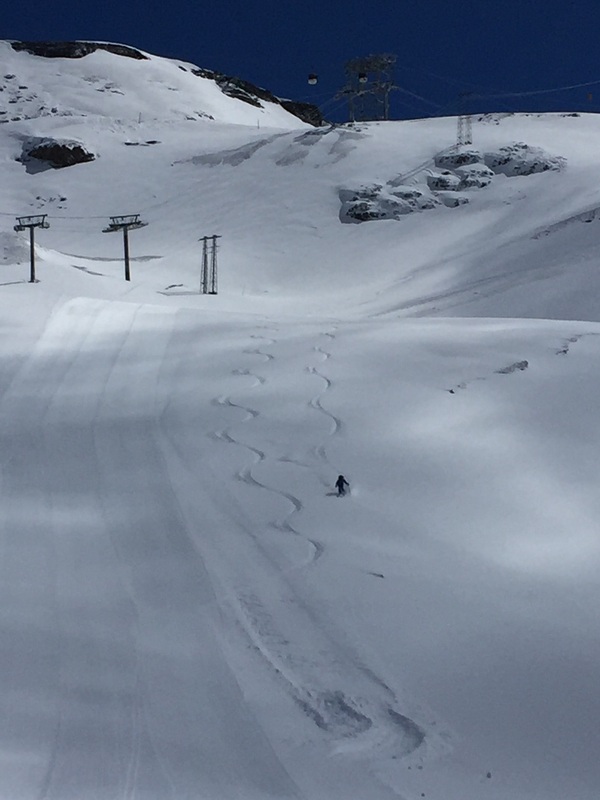 Steep lower slopes hold challenging black runs (plus the brand new Jandri 1 blue) while above 3200m the glacier hosts cruising blues with a spectacular view. In summer the glacier draws international athletes from around the world to train on guaranteed snow while the lower slopes turn into a downhill mountain biking paradise. Beyond the lift served area there is easy access (perhaps too easy) to the wild high mountains and glaciers that the region has to offer. Geographically, the ski area forms part of a long, broad ridge which rises from Bourg d’Oisans to the peaks of Le Rateau and La Meije, separating the Upper Romanche and Veneon valleys. 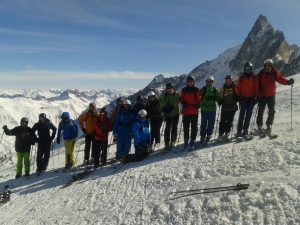 This gives a wide selection of long and involved off-piste routes and ski tours which take you from the high reaches of the ski area to the remote tributary valleys and picturesque villages of the Veneon or to the steep north facing slopes of the Romanche. Aside from Les Deux Alpes itself, there are several other ski areas close by ranging from enormous to a pair of lifts in a field. This is a region where tiny, unspoilt ski stations like Chazelet and Col D’Ornon stand alongside the world class resorts of Alpe D’Huez and Serre Chevalier. For some the biggest draw in the region is the freeski mecca of La Grave La Meije. The Telepherique runs from the village at 1450m to the glacier at 3200m giving access to a huge playground of ungroomed and unpatrolled off-piste terrain. Above that a unique drag lift on the Girose glacier takes skiers to 3600m and the tenuous link to Les Deux Alpes. Avalanche safety equipment is essential and an off-piste instructor or mountain guide is highly recommended. There are many dead ends and following tracks can easily get you into trouble in an area with a large population of extreme skiers. That said, it is a truly amazing place to ski and a descent of the Vallons de la Meije should be on every skiers must-do list.